We are a PMI Registered Education Provider (R.E.P. ID number 3347). We have a range of services to offer to our clients. As a consulting firm CONSAK delivers professional and innovative solutions on a large, small, simple and complex projects for clients in both public and private sectors. As a training provider, we pride ourselves in meeting training requirements of our clients especially in areas of PMP®, CAPM®, PMI-ACP®, Lean, Six Sigma, ITIL, and Project Risk Management (RMP Exam Prep). Since CONSAK Inc. is PMI Registered Education Provider (R.E.P. ), our CAPM® / PMP® , RMP® , PMI-ACP® Exam Prep. Trainings are all aligned to meet the PMI global standards of excellence. For finding us on the PMI website click here https://ccrs.pmi.org/search/providers?sf=Providers&kwd=3347. Recently CONSAK Inc. has become authorized training partners of Scrum Study, USA and is now offering Scrum Master,Scrum Product Owner and Scrum Developer trainings. Upgrade your skills today and make no vision impossible to achieve. Let CONSAK help you succeed; CONSAK guarantees customer satisfaction and facilitates its clients from diverse fields to excel in project/process management skills; CONSAK provides unique offering of customized / personalized training at affordable rates and flexible hours designed specifically to meet its customers’ needs; Not in the town, not a problem as CONSAK offers live virtual tutorials that are accessible from remote locations to ensure its clients’ convenience. (PMP, CAPM, PMBOK, PgMP, PMI® Registered Education Provider logo are registered marks of the Project Management Institute, Inc. CONSAK Inc. has been reviewed and approved as a provider of project management training by the Project Management Institute (PMI). As a PMI Registered Education Provider (R.E.P. ), CONSAK Inc. has agreed to abide by PMI established quality assurance criteria). 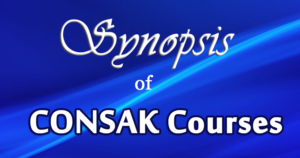 2019 - CONSAK Inc Copyright © All rights reserved.